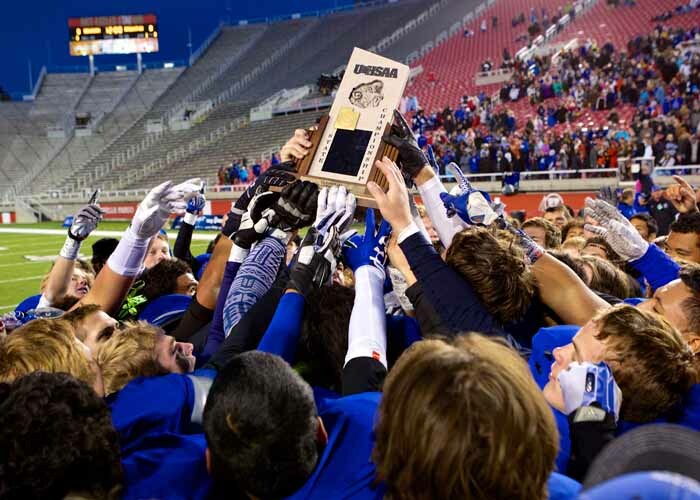 When Bingham High football coach Dave Peck walked out of Rice-Eccles Stadium Nov. 21 after he led the Miners to their second straight state championship and their fifth overall, he knew it would be the last time. Or at least he thought it could be. 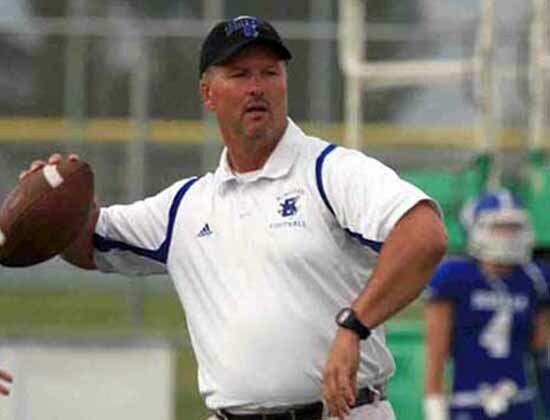 The organizers of the Burger King State Championship Bowl allowed the coach to extend his stay on the Bingham sidelines for one more game. He coached the Miners as they lost in overtime to the No. 3 ranked team in the nation, Booker T. Washington (Miami), in that Dec. 27 bowl game in Boca Raton, Florida. 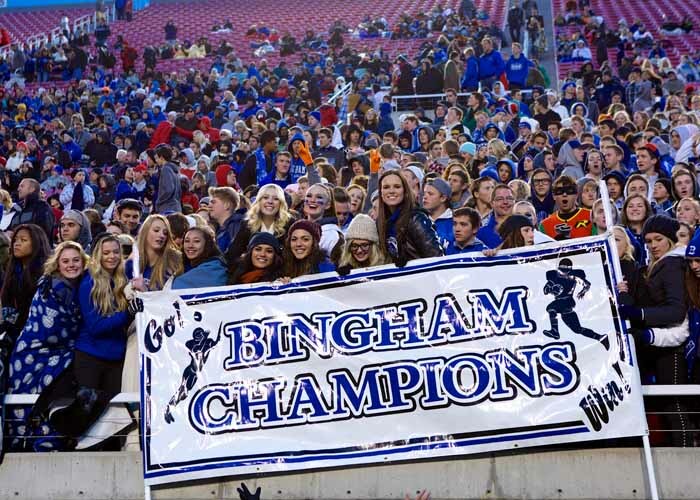 Peck had decided before his team took the field this season that it would be his last year coaching at Bingham, but he waited until the team party after the championship campaign was finished to tell his players. In doing so, he shared with everyone in the room a piece of wisdom that explains that for him, this was more about teaching and touching lives than it was about winning football games, although he did both extremely well. The numbers speak for themselves. In his 15-year run with the Miners, Peck’s teams compiled an overall record of 154-38, with 10 region championships and those five state titles. He has been a high school football coach for 31 years and a head coach for 21 (including stints at Cyprus and North Sanpete), and his career coaching record is 181-71. But those numbers only tell part of the story. Peck is always excited to talk about the kids who have played for him, regardless where they fell on the depth chart, and he feels that he treated them all the same because it was never about him. The decision to retire now was driven by the coach’s desire to explore new opportunities. He wasn’t looking for a time when his next team might be down a little to escape, but in fact, quite the opposite – Peck enjoys the fact that he is going out on top. He talks about the concurrent run Timpview has had compared to what he has built with the Miners, but when he looks back to his goals at the time he took the job, it was another program that he was looking to emulate. Few can argue with his results. That does not mean there haven’t been some successes that have come along unexpectedly. The game with which he closed out his Bingham career, a nationally-televised contest against a high-profile opponent from the football-crazy state of Florida, really put a cap on one of his most pleasant surprises – seeing his program and Utah high school football receiving nationwide accolades. 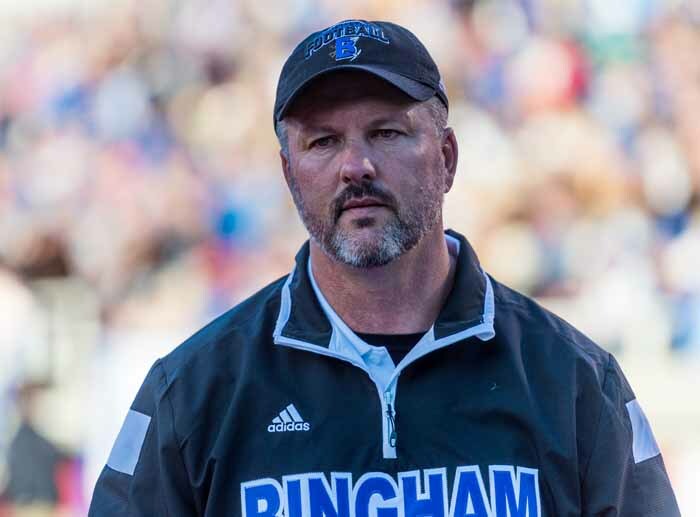 The coach took full advantage of every opportunity to advance the cause of Utah high school football nationally and to put not just his Bingham players, but all of the state’s top athletes in the spotlight. He takes great pride in the successes of his annual trips to Las Vegas with a team of top players from schools all over the state to participate in a prestigious 7-on-7 tournament. That team, which practices just a couple of times before the tournament and then plays against a collection of dozens of teams who play together regularly, is a regular participant in the event’s semifinals and finals. It’s only fitting, then, that Peck’s final game on the sidelines at Bingham came in a high-profile national bowl game, and he relished that last chance on that grand stage. Peck knows that he leaves the program in good hands, as offensive coordinator John Lambourne will slide over into the head coaching position. The two have coached together for 21 years and Peck strongly advocated for his assistant once he knew Lambourne wanted to take over the program. He feels really good about the state of things he is leaving to his friend. While it’s Lambourne’s team to run with now, Peck does not expect that much will change around Bingham football after the transition. The 53-year-old Peck, who is married and has four grown children, is a native of Salt Lake. He played football at Cyprus High School and at Southern Utah University and was extremely successful as an athlete before he made the move to coaching. He was a first team all-state performer in both football and baseball for the Pirates in 1978 and 1979. What’s Next For Coach Peck? Whatever comes along in his life, for Peck it all comes back to home and family. He would love to coach at the next level, but for now, his plan is to take a sales position with sports equipment supplier Universal Athletics. He has a home and some land in Southern Utah, and he is looking forward to sharing that space with his parents, his kids and his grandkids. It’s family and his roots that will guide any decisions about any future collegiate coaching opportunity that might come his way. When Weber State was looking for a new head coach following the 2011 season, Peck was under consideration for the position, which eventually went to John L. Smith, who left to coach Arkansas four months later without ever coaching a game with that team. He is not sure the chance will ever come to work on a collegiate coaching staff, but Peck certainly leaves open the possibility, if the right opportunity comes along. Coach Peck says he might consider leaving the state for a short-term college position, but only as a pathway to something back here at home. Whether there is more coaching to come from Peck or not, the gifts he has given to the young people fortunate enough to have come into contact with him over the past 31 years are already immense. When he announced his retirement at that postseason banquet, he says a lot of kids shared their feelings, but there were a few tender moments with parents. Peck’s message to his team that he is happy with where he is and with where he is going comes from his belief that things happen for a reason, in sports and in life. “Things will work out like they are supposed to,” Peck said.